6 Reasons Why The Library is The Most Important Place In Town. Libraries are places where people come to know themselves and their communities. Libraries serve as catalysts for addressing social problems. Libraries provide important business resources, especially for small local businesses. Libraries provide information, resources, and support for lesbian, gay, bisexual, transgender, intersexed, and questioning (LGBTIQ) patrons. Libraries offer opportunities for remote access, making it possible for those who can’t get to the library to still access the library’s cultural and educational offerings. 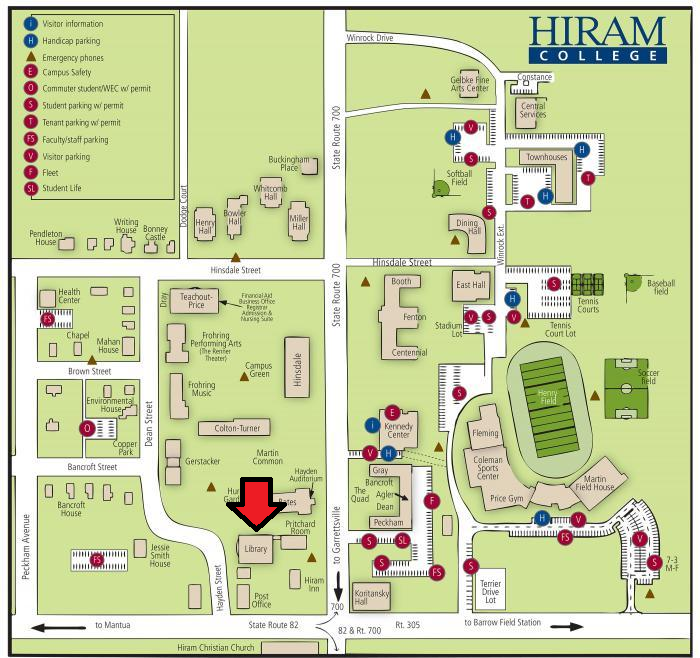 The Library is located on the campus of Hiram College near Bates and the Police Station. Below is a Google Map which can help you find your way to us. If you are on campus look for the clock tower as we are one of the tallest buildings on campus. If you would like additional help please give us a call at (330)-569-5489.